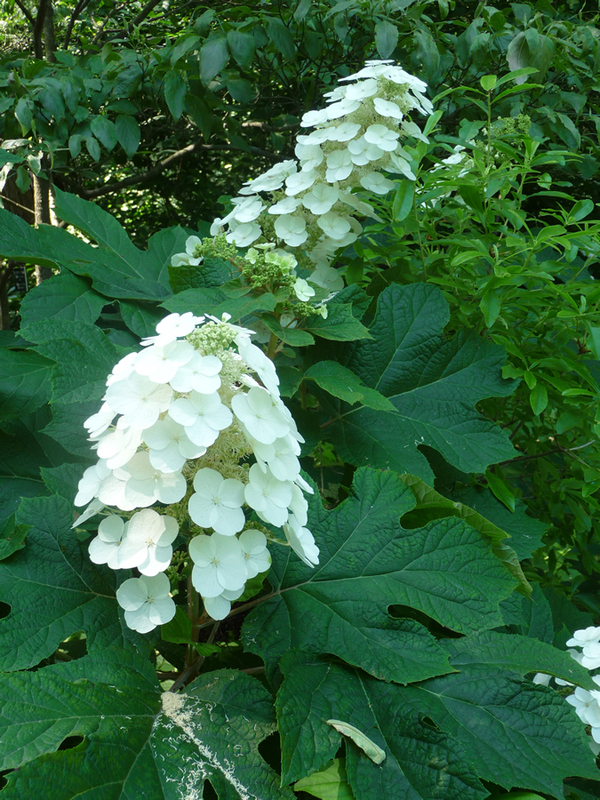 The oakleaf hydrangea is a deciduous, mound-forming shrub that grows to a height of 4 to 8 feet with a wider spread. This coarse, irregular plant provides all-season interest. In summer it has large panicles of white flowers that turn pinkish and eventually tan as the season extends into autumn. Plants that get plenty of sun will turn red to purple in autumn and, in winter the cinnamon-colored, exfoliating bark stands out against the stark landscape. With proper placement in shrub borders, mass plantings, or as foundation plants, the oakleaf hydrangea will become a favorite in any garden. 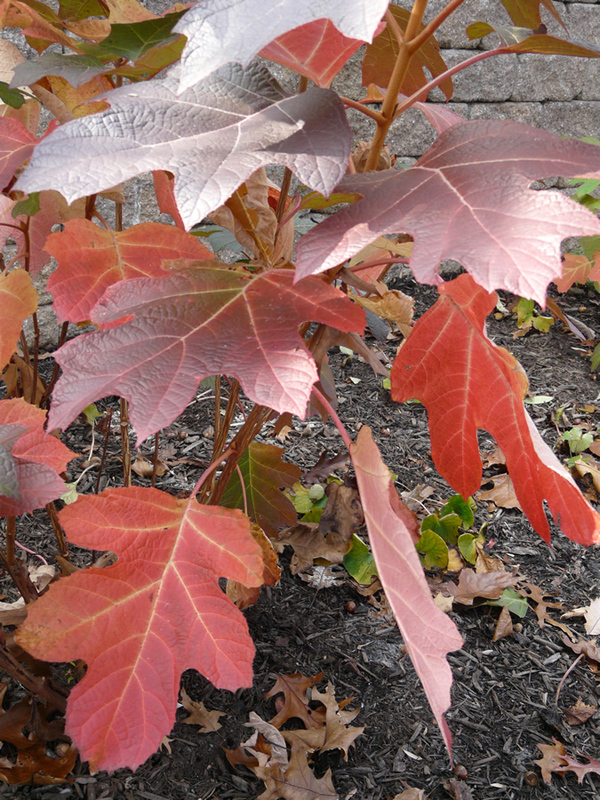 Oakleaf hydrangeas prefer moist, well-drained soil in full sun to partial shade. They are susceptible to deer damage despite the toxicity of many of the parts of the plant.